I use Vuforia MTG to create target model but I cannot see the target model in the scene, as shown in the picture. 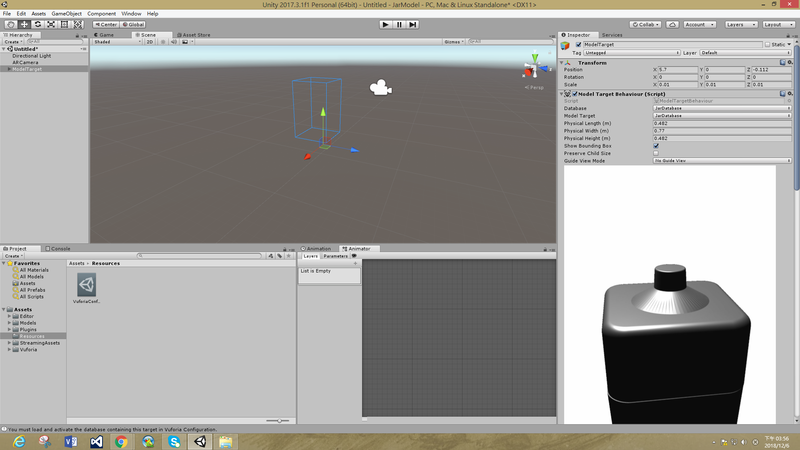 However, since it is able to show the bounding box meaning that I did successfully import the target model,right? Please help me with this problem, thank you! If am able to try and figure something out I will post here.